If you have the hand for creating art and looking for a way to cash in on that talent, then starting a Custom T Shirt Printing business is a good idea. Custom made t-shirts with original designs can be a big hit! Below are some pointers on starting a t-shirt design business. Start small. Any kind of business starts from something small and needs a little money to get off the ground. But don’t go overboard. Start with 3-4 of the best designs, and print a minimal amount with a t-shirt printing company that is willing to work with you, so the investment is manageable. The more units that are printed, the cheaper it gets, so order more of less designs, rather than a few of many designs to save money. Then promote your brand. Try teaming up with other websites in a particular niche, and do t-shirt giveaways to get your name out there. If one can get a celebrity to wear the shirts, or provide t shirts to local bands, even better. Give them away. More will be gained back more than what is shelled out. Come up with original concepts. One way to distinguish a custom t shirt printing business from others is using imagination and creativity. Some of the best-selling shirts are the ones that tickle the funny bone. Put some humor and witticism in custom designs and surely they will sell. A creative designer can do spoofs of celebrities, movies, and other “in” things. Another thing, the reason for coming up with original designs is to avoid copyright infringement. Popular stuff can be spoofed as much as anything, but there’s a fine line between “parody” and copyright infringement. Do some research online and quickly get the idea. Advertise smartly. Not paying for giant billboards or TV airtime. Ask family and friends to wear the designs. One can also join contests online. be big on social media and buy cheap banner ads in the niche online.This is one way to let people know about this artwork. Have a business plan and price structure. It is not enough to just design, print and sell t-shirts. One needs to look further down the road once business is thriving. A target market is important. 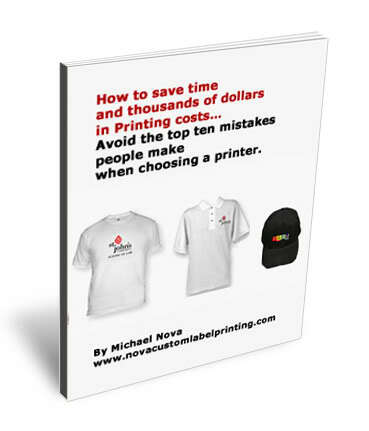 Most shirt printing businesses prefer young people as their main customers. This is indeed a brilliant idea. However, with so many competitors, penetrating a market that hasn’t been tapped yet can be smart. As for the price, study thoroughly the expenses incurred with the materials and other factors like shirts, cost of running the website, electricity, salaries, and rent rates and permits if there is a shop or a plan to sell at flea markets. Speaking of flea markets, the best thing to do is go to the flea markets in the surrounding area and search out vendors who may be competition. Compliment them on their work and ask them how they are doing with their business while telling them that you are planning to start a business. Ask their advice. A discerning eye and heart will be able to tell within seconds if this is a friendly person or a grumpy one who won’t help in the slightest. If they impart any knowledge, be very thankful to them and buy a shirt! After all, they are just like you, and an ally that can point someone in the right direction on which fairs are best, can be a wonderful help. These are just basic ideas on starting a t-shirt business that a newbie will need to know, but there is so much more. As a business thrives, new skills can be learned and introducing other designs to keep customers interested will become important. But most of all, imagination needs to be kept going, so create as many designs as possible.